Join the world of the wealthy. Spy, rob and defend yourself. It is easy to climb to the top, but it is up to you how long you will stay there. How to achieve success� Collect money, build buildings and upgrade them. If you have the most levro, you will be the first in the ranking. 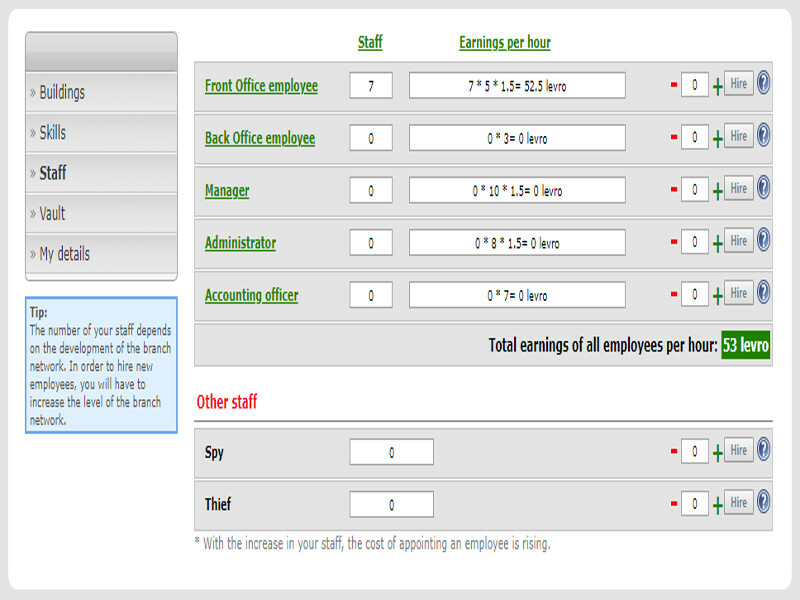 Every level up of one building allow you to hire more staff for it. Thanks to it, you will get revenue every hour. Of course, you have to pay salaries. Qualify your staff, raise their skills and earn more. The more skill levels you gain, you will receive more income per hour. There are several skills - attack, defense and espionage. You choose what to do. You can spy the banks of the other players. When you are ready and you think that the moment is right to attack, you can organize a robbery against them. Upon successful robbery against another player, you will get the whole available amount of money, which is outside their vault. Do not forget that the vault has to be upgraded also. Every day until 22:00 you have the chance to set a robbery. In 23:59 all of the robberies are carried out automatically by the system. Be careful. The player you decided to rob might login and catch the thief that you sent. If this happens, the robbery will fail. If one player has being robbed by several other players, the levro will be distributed equally between them. Participate in the 6/49 lottery that takes place every five minutes. 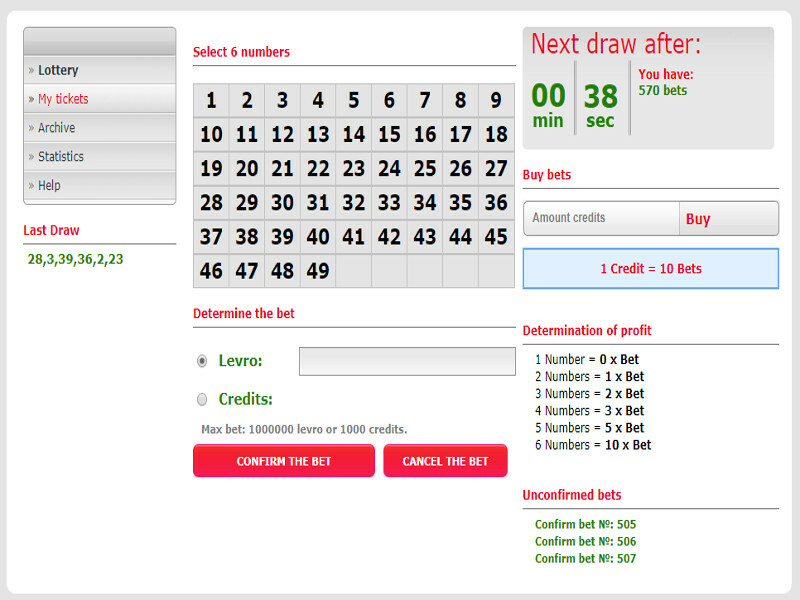 View the table with the possible winnings. Bet levro and credits. The first 100 bets are on us. 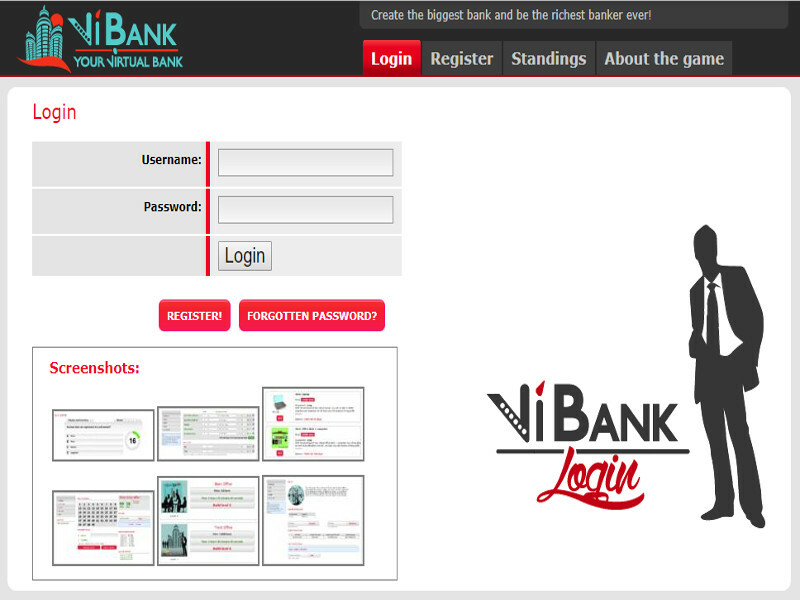 After successful registration you receive them automatically. If you run out of bets, you can buy more with credits. One credit is equal to ten bets. View the item market. 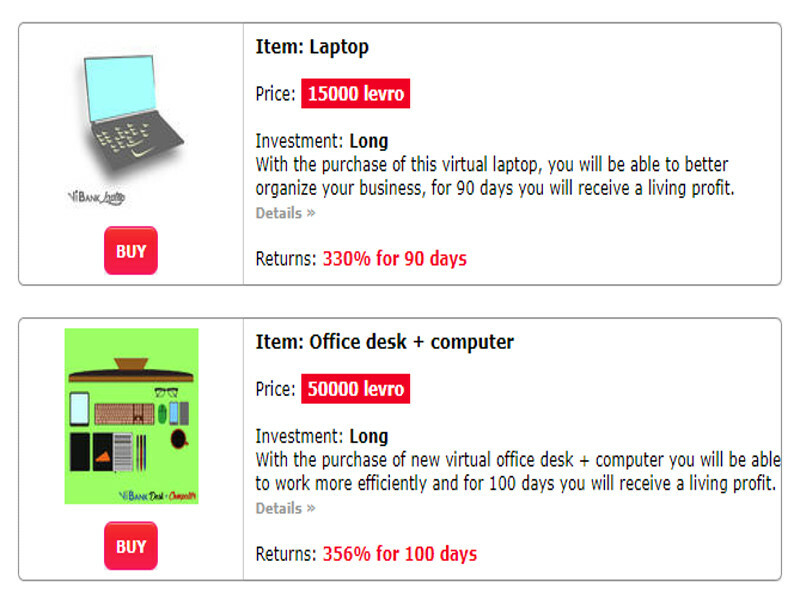 For every purchased item you will get more than your investment. 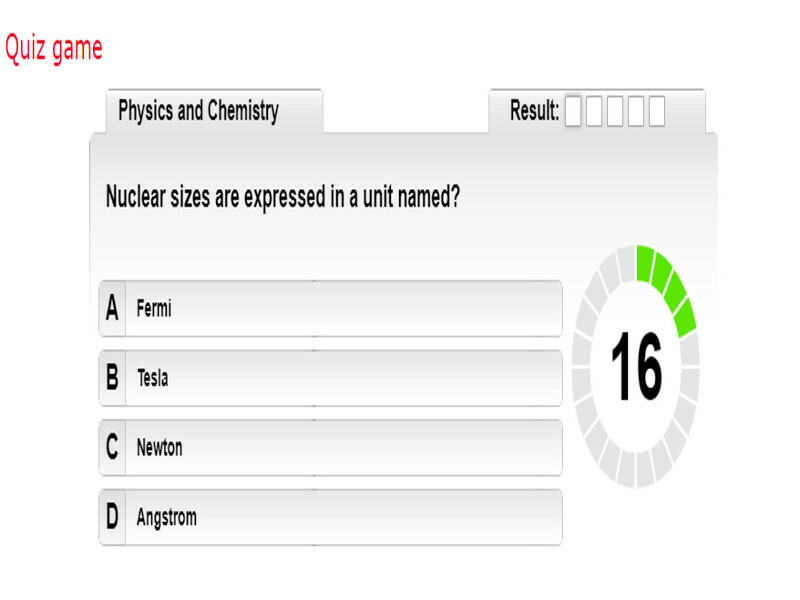 Take part in our quiz game. You can play up to ten sessions per day. If you want to play more you can become VIP and everything will double up. Every right answer gives you 300 levro and points for the ranking. Be careful! If you give wrong answer you lose three points from the ranking. This ranking is different from the main one. It is only for the quiz game. Be the first and win a prize. The ranking restarts every month. The prize - points for the main quiz ranking. For the first players the prize is credits, which are being received in the end of the season. Get people to vote for you. Include them in the referral system. Ask and you shall receive. Your people can donate to you 100 levro every 24 hours. This game has no negative reviews! Why is MMORPG so popular? Home page top updated on each vote!